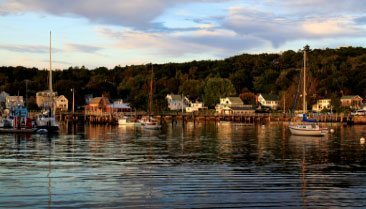 With harbor cruises, birding routes, and plenty of scenic hiking trails, Boothbay Harbor is the perfect place to go wildlife watching in Maine. Sure, you may have moose sightings near Rangeley Lakes, Kennebec Valley, and the Western Mountains. But Boothbay Harbor has its own impressive list of animals to discover! Here are just a few wildlife watching opportunities in our area. For more fun things to do during your stay in Midcoast Maine, download a copy of our free Vacation Guide! It’s full of recommendations for outdoor activities as well as dining and shopping options, annual events, and more. The best part? It’s free! Because Maine is the southernmost place that puffins live in North America, you won’t find this small, penguin-like bird anywhere else in the country. Take a puffin cruise from Boothbay Harbor and admire these interesting animals up close, all while enjoying a scenic ride on the water. This fun activity is only offered from June to August and is an educational and exciting way to learn about one of Maine’s most unique species. Whale watching season in Boothbay Harbor is a major attraction. Starting in mid-April, you can see many types of whales (including the magnificent Humpback whale!) right from the water. The best place to spot whales is about 20-miles off the coast, so most whale watching cruises last a few hours. However, they always have excellent seating, snacks, and everything you need to enjoy a comfortable day at sea. Many people are surprised to learn that birding is one of the most popular activities in Boothbay Harbor. 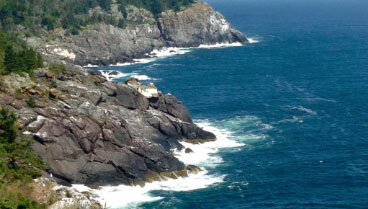 Check out Lobster Cove Meadow Preserve, part of the Boothbay Region Land Trust. It’s comprised of 46.8 acres of wetlands, fields, and forested uplands where over 140 species of migratory and nesting birds have been spotted. When you take a harbor cruise in Boothbay, you’ll likely encounter dozens of harbor seals swimming in the water or sunning themselves on rocks. Our area is a great place to go seal watching; these fun sea creatures are absolutely adorable, and they’re easy to find! The Maine State Aquarium is another great destination for wildlife watching in Maine. Although the aquarium is a seasonal attraction, it is a fantastic place to visit when it’s open in the summer. Many of the exhibits interactive and visitors can enjoy daily talks, touch tanks, behind-the-scenes tours, and more. There are so many great ways to experience wildlife during your Boothbay Harbor vacation! When it’s time to start planning your getaway, be sure to book your stay with us. 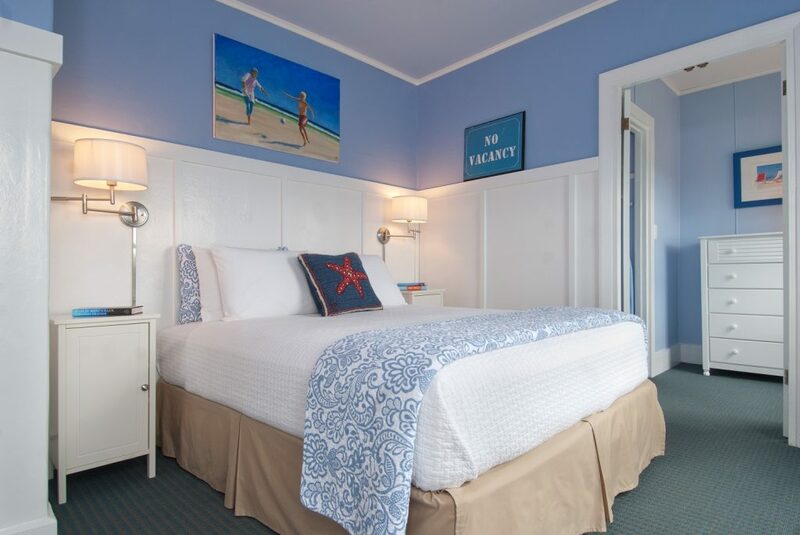 Our Inn is within walking distance of the best shops, galleries, restaurants, and waterfront attractions in town. Plus, our three-acre property offers exceptional views of the area. 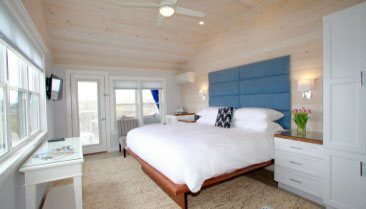 Topside Inn has comfortable accommodations in three unique houses: the Main House, Windward Guest House, and the Leeward Guest House. We also have a private Water’s Edge Cottage. 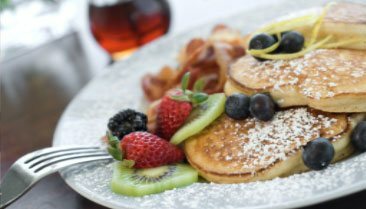 Your stay comes with top-notch amenities and a delicious gourmet breakfast each morning. What’s better than that? Check our availability online or give us a call at (207) 633-5404 to make your reservations. We look forward to having you!